Search Engine Optimization, or SEO, is one of those terms business owners find a little scary, puzzling or both. In short, SEO is the process of tweaking your website, blog and other online content so that Google, Bing and other search engines will place you at the top of the search results page when customers look for you online. It’s rather simple when you break it down. SEO is the process of optimizing your online content for search engine algorithms like Google’s. Search engine algorithms look at all the content across the web and lay it out on the search engine results pages. This is where your business will get found – or get lost in the world of “second page and beyond.” Your business’ SEO efforts are what determines your search engine results page (SERP) ranking, and consequently, determines how “findable” you are online to your customers. Let’s take a look at some of the basics of SEO. SERP, or search engine results page, is the list of results that search engines formulate and present to the user after they do a search. Your SERP rank is where your website/content appears on the list of results. A backlink is when one webpage hyperlinks to another website. Backlinks are very popular in blogging and creative writing. The more backlinks your website gets, the better your SERP rank! You could increase your backlinks by publishing guest blogs on news sites or adding links to your website from other websites such as partners, associations or your local chamber of commerce. A keyword is word or phrase that a consumer enters in search. Your website and content should be optimized to draw in the consumers who are searching for specific keywords. Figuring out the best keywords to use takes some careful analysis. This is data that tells the search engines what your web page/content is about. Metadata helps the search engine algorithms know if your content is relevant to what the consumer is looking for. Why Should SEO Matter to Your Business? If you’re thinking “well, that doesn’t matter for my business,” then you might want to think again. Optimizing your website and blog content with the right keywords, metadata and other SEO factors will be hugely beneficial to your business. 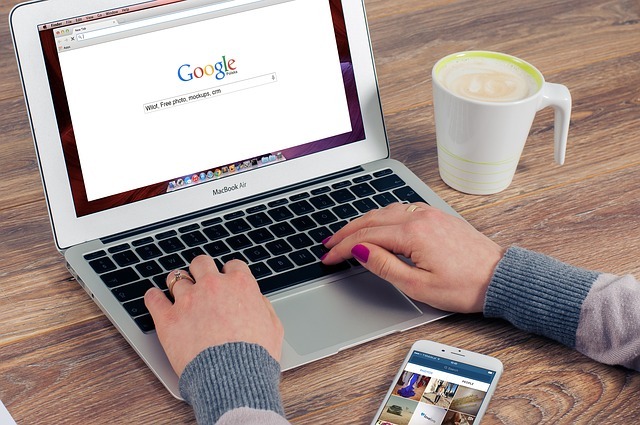 If one person types in “best auto repair shop in Plymouth” into Google, and your business is at the top, then they’re likely going to click on your website. But there isn’t just one person Googling that term – there are thousands. Each person who clicks on your name from Google is another boost to your website traffic, and more potential business and sales for you. Hello SEO, hello more traffic, hello higher revenue! Optimizing your content for specific keywords like “when to replace brakes” or “best car wax to use” means that when a customer goes to Google to find answers to their questions, they’ll find you. Creating a name for yourself in your industry as a helpful, informative brand will improve your reputation, and get more customers flocking your way! If a customer can find you at the top of Google by typing in “best auto repair shop in Plymouth,” then why would you need to pay for ad space at the top of the page? SEO is what determines where your business appears on Google, so optimizing your content for the search engines just makes sense when it comes to where you spend your marketing dollars. Here’s a big one – if you don’t implement SEO tactics for your business, then your competitors will, if they aren’t already. Who will be found when customers go looking? You or your competitors? Someone has to be at the top page of Google, right? If you’re not using SEO to market your business, then it will be your competitors who show up when your potential customer turns to Google for advice and answers. Search engine optimization is crucial when creating and publishing any kind of online content – whether it’s your business website, blog or otherwise. The better your business gets at optimizing content for SEO, the more likely you are to be found online and grow your business.